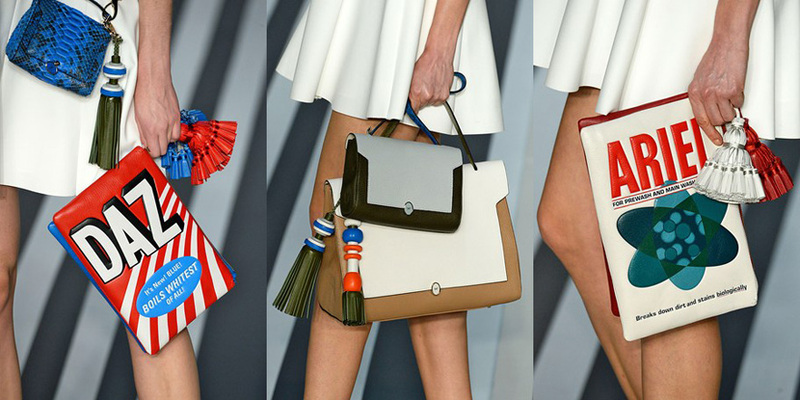 London Fashion Week always surprises us with funny and quirky designs and crazy accessories. It didn’t disappoint us this year since we saw very eccentric accessories from furry royal guard hats by Daks and ruffled headpieces by John Rocha to Burberry personalized blankets. Christopher Bailey’s accessories were an absolute hit. He showed us a brand new way to wear a printed scarf and painted bags, boots and belts with flower motifs. He also designed some amazing kilim inspired totes and shocked us with a range of colorful blankets with woven initials of models. Towards the end of week we saw Anya Hindmarch show with kooky bags inspired by British products such as Ariel washing powder, Swan matches, Custard Cream biscuits and even bags of crisps. It was her witty answer to logomania trend which is going to be very popular this year, but there are some cute logotype-free handbags too. 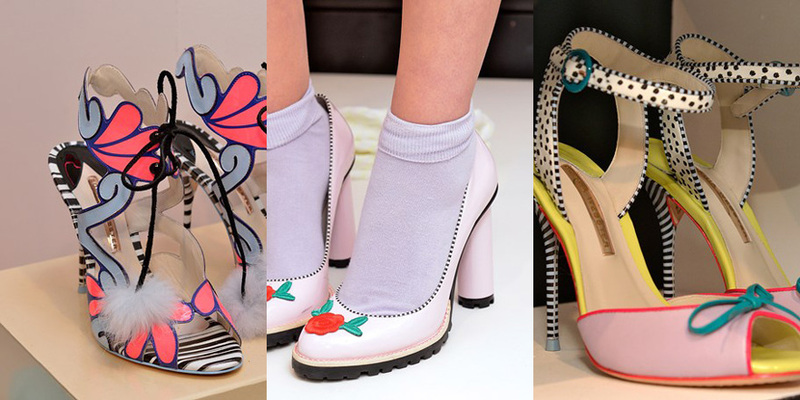 When it comes to shoes, there were plenty of imaginative designs from Emilio de la Morena’s open toe velvet shoes to Sophia Webster colorful heels.